Recently, I’ve had trouble calls from clients who are caught in the horror of attempting to reset their account passwords AFTER changing their email address or phone number (and old ones were no longer accessible). One company, Microsoft, took them through a form that asked for answers to secret questions, old phone numbers, recent email contacts, and more, yet still denied access to reset the password. After hours of phone calls to the company, they still refused to grant access to the accounts. The customer service agents basically told them there was no further resolution. One of those clients no longer has access to any of the Microsoft’s services – including his email. Another could no longer unlock her computer every day since her login is tied to her Microsoft account! Another company, Verizon, has been getting out of the email business – transferring all of their customers who used their email service (@verizon.net) to their new acquisition, AOL. They promised customers that they’d receive an email with special instructions and links to a form that transfers their email account to AOL. A client of mine never received the email. One day, his email stopped working. After inquiring with both AOL and Verizon, he was told to wait for the email as there was no other way to help him. It still never came. He no longer has access to his email. Unfortunately, he used that address to set up all of his OTHER online accounts. Now, he’s tasked with changing his email address-on-record with EVERY online account he owns – we calculated, it’s over 40 accounts! Other companies, like Apple, don’t ask for just ONE email address, they want two! One of them will be used just for password recovery. It can’t be the same as the address you use to set up your account (AppleID). This means that you have to remember that if you change (or LOSE access to) one of your email addresses, you had better make sure to go tell your AppleID account about it! With all of your data and devices that rely on (and tied to) that one AppleID, a loss of this account will be devastating. Other companies will not allow you to change ANY security setting, including email address and password, unless they send a verification code to your phone via text message! So, be sure you have access to the phone they have on record before you change anything. 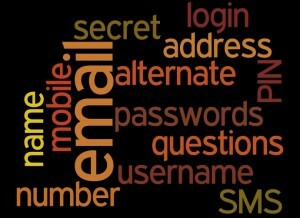 Remember your passwords! Use an app, keep a log, spreadsheet, document – ANYTHING. If the passwords change or you add a new account – update the list immediately. 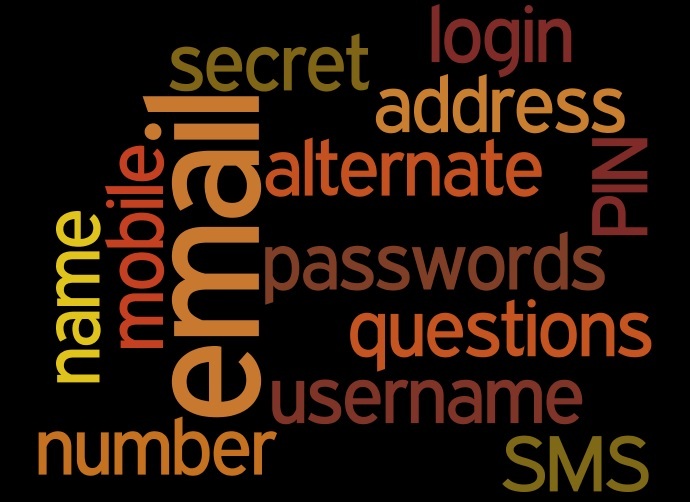 In your passwords list, include login name, account number (if any), email addresses & phone numbers associated with the account. Before you change your email address or phone number, refer to your list so you know which accounts you’ll need to update.